Welcome to Barry's Blog and my ramblings on various current events and family news. 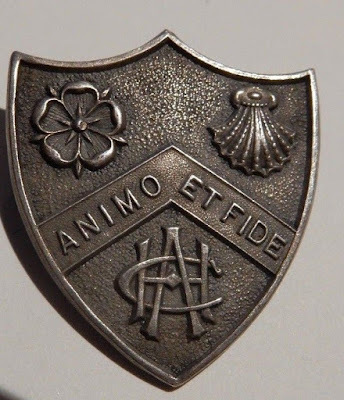 My mum was at Avery Hill College from about 1923 to 1925. Came across this on eBay. and came from London, and had already worked as pupil-teachers. and student societies were established to organise social events and activities. the last opening in 1916.
work as an important feature of Avery Hill courses after 1935. During the Second World War Avery Hill was evacuated to Huddersfield Technical College. 1947 and converted into hostels, easing the problem of student accommodation. when Avery Hill became the Polytechnic's Faculty of Education and Community Studies. Mr "Call me Dave" Cameron seems to be escaping the opprobrium that Mrs May is collecting. Admittedly Mrs May has played a poor hand very badly, but it was Mr Cameron who started the whole farrago off by calling for the referendum in the first place. The irony is of course that it was called to try and unify the Tory Party which at the time was haemorrhaging members to UKIP. The theory was that he would have a referendum that would vote in favour of remaining in the EU and thus the arguments would cease. In fact he never thought that there would be referendum as his coalition partners, the LibDems would not allow it. He made the grave mistake of winning the general election with an overall majority and so Nick Clegg was unable to prevent it. We are now in the current sorry mess and there appears to be no way out. Jeremy Corbyn doesn't really know what to do as he is and always has been a Eurosceptic and his own inclination is to vote to leave. Most of the senior Tory politicians are giving the appearance of not giving a tuppeny damn about the country but simply want to position themselves to be the next prime minister when Mrs May goes. The Referendum Bill as passed by Parliament was a purely advisory vote, but was given more substantive power as all the major parties said in their Election Manifesto that they would abide by the result. Although I struggle to recall when political parties were that concerned about manifesto promises except when it suited them. So we are in a complete buggers muddle. My preferred solution of consigning all 650 MPs to a small boat in a major storm in the middle of the Atlantic is perhaps a tad too extreme; but something drastic needs to be done. the current House of Commons does not appear to have a majority to do anything. If we had another general election would anything really change as both of the two major parties are split on this issue. we would probably find that each garners thirty-three per cent of the vote and we would be no better off than we are today. My personal preference is to go for a second, two choice, referendum. Is there any other viable solution given where we are today? Why has the world become a nastier place than it was when I was young? It now seems almost impossible to agree to disagree and remain friends. Is it really all the fault of the internet that enables us to communicate with people that we don't know and say things about them that we would never say to their face? I am proudly Catholic, sadly there are factions within the Church that barely tolerate each other. In politics there appears to be rancour and loathing between the political parties and within each party. Or was the "golden age" of my youth a figment of my imagination and that the real hatreds were always there just hidden below the surface? Meanwhile I shall continue to argue the toss with my friends from other countries about the Six Nations and the forthcoming Rugby Word Cup whilst we buy each other a beer. Why is the Prime Minister allowed to have multiple votes on her Brexit deal whilst the proletariat are just allowed the one vote? And now I read that the Chancellor is bribing the DUP to support the deal. Talk about one law for them and another law for us. It is undoubtly sadly true that abuse takes place in many institutions and within families. Churches of all denominations, football coaches, youth leaders, scouts etc etc. The list is almost endless. However, today’s Gospel reminds us that “How can you say to your brother, “Brother, let me take out the splinter that is in your eye,” when you cannot see the plank in your own? We need to get our own in house in order before we start trying to solve the problems of others. “The first enemies are within us, among us are bishops and priests and consecrated persons who have not lived up to their vocation, we have to recognise that the enemy is within.” Not my words but the words of Cardinal Rubén Salazar Gómez of Bogota in his address to the synod on the protection of minors held last week in Rome. Cardinal Tagle from the Phillipines said in his speech, "Our lack of response to the suffering of victims, even to the point of rejecting them and covering up the scandal to protect perpetrators and the institution, has injured our people, leaving a deep wound in our relationship with those we are sent to serve." While a Nigerian nun, Sister Veronica Openibo, called out the church’s leadership for its hypocrisy in parading themselves as the custodians of moral values, while covering up atrocities that blighted the lives of the most vulnerable members of its community. Meanwhile one of the pope’s most trusted advisers, Cardinal Reinhard Marx the archbishop of Munich and Freising, head of the German bishops' conference, admitted that files documenting abuse had been “either destroyed or never created". 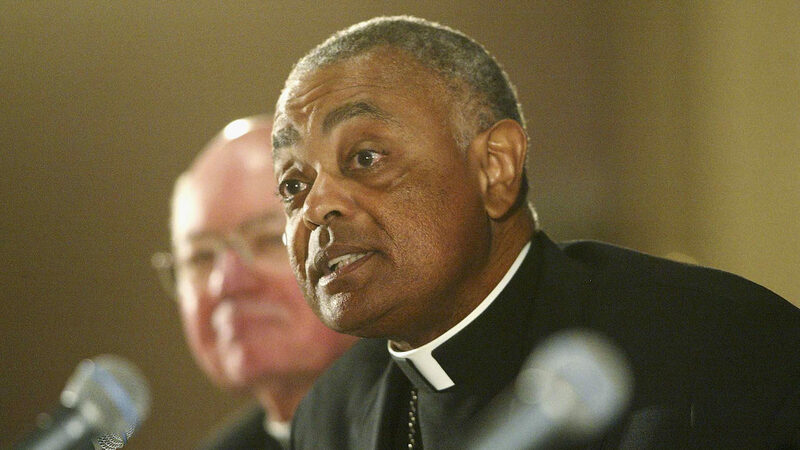 He said the church's administration had left victims' rights "trampled underfoot" and "made it impossible" for the worldwide institution to fulfill its mission. "Instead of the perpetrators, the victims were regulated and silence imposed on them," Cardinal Marx continued. "The stipulated procedures and processes for the prosecution of offences were deliberately not complied with, but instead cancelled or overridden." "These are all events that sharply contradict what the Church should stand for,"
As I prepared this homily the final summary of the synod by the Pope was not published. I know that I am not alone in praying that it was not just a talking shop but that real concrete action will follow. We are still waiting for the Papal Nuncio to hand over files and testify to the independent inquiry that is taking place about abuse at St Benedict’s School, Ealing. Just as the police do not investigate themselves, there is the Independent Police Complaints Commission, so the Church should not investigate itself. We need an independent body to investigate allegations of abuse, taking care to recognise the rights of the accuser and the accused. We have seen all too recently in the UK that malicious accusations ruins innocent lives just as an abuser ruins innocent lives. The living word of God is as true today as it was when it was first written. The wrongful actions of some cannot change that. The real presence of Christ will be truly among us at the consecration of our gifts of bread and wine. We must hold firm to the reality of the resurrection of Christ our living Lord that we will prepare ourselves for, beginning this week as we celebrate the start of Lent with Ash Wednesday. We must do all we can to prune the rotten branches that are within; I urge you all to write to the hierarchy demanding that real concrete action is taken. No more talking, an independent review board now. Jesus didn’t often get angry. But once or twice he got absolutely furious, and it was always about the same thing: the religious elite, who in his day were the Pharisees. “Do not imitate their actions, because they don’t practise what they preach,” he warned, telling them they were “like whitewashed tombs, which look fine on the outside but are full of bones and decaying corpses on the inside” (Matthew 23 v3, and v27). We must stay and we must fight for that which is right, as there is so much that is good. The vast majority of the clergy are good men, we are blessed with them here in Bromley in Fr Tom and Fr Matthew; we must support them so that they can truly serve. We read in John’s Gospel, Chapter 6: Then Jesus turned to the Twelve and asked, "Are you also going to leave?" Simon Peter replied, "Lord, to whom would we go? You have the words of eternal life. We believe, and we know you are the Holy One of God." This is the reality that we must fight for.
" On another matter. I am concerned with the high number of priests ( at all levels) linked to sexual abuse and the fact that there is very little discussion abut the impact this situation has on ordinary people (like me) who look up to priests for guidance. Is this something that you ( or another deacon) can help me to understand? My faith and trust in Jesus remains strong, nevertheless I have to admit I am struggling with these demons." Let me be quite clear, one case of abuse and one cover-up is one too many. There must be an absolute zero tolerance policy on this issue. Studies would seem to indicate that around 4% of priests have been credibly accused of abuse around the world. The vast majority of these cases took place in the past and sadly the climate at that time indicates that there were cover-ups to try to protect the image of the Church as an Institution rather than protect the reality of the Church as the people of God. What has happened has happened and we cannot undo the crimes that took place no matter how much we would like to. What I can say is what steps are being undertaken in Britain to try to ensure that abuse does not take place in the future. All candidates for the priesthood and permanent diaconate have to undergo the highest level of DBS (Disclosure and Barring Service) checking. Candidates before final acceptance undergo rigorous psychological testing and evaluation. Each parish and Catholic institution has Child and Vulnerable Adult Protection policies and a lay group to oversee the implementation of these polices and to be a port of call in the case of suspected abuse. Finally I would urge you all to pray. Firstly pray for the direct victims of abuse and their families. They are hurting and we must do all we can to support them. Secondly please pray for the vast majority of the clergy who are innocent of any wrong doing. They are as hurt and bewildered by what has happened as you. I am a retired Consulting IT Specialist. I have been married to Julia for over 47 years and we are blessed with four children; David, Andrew, Lawrie and Hélèna. Not forgetting the "other half's"; Gaew married to Andrew, Lawrie's partner Emma and Hélèna's husband Sam. In addition we have a grandson - Henry Thomas, son of Lawrie and Emma. Henry was five in April 2018 and he now has a sister, Georgia Rose, born on 29 December 2017. I am ordained as a Permanent Deacon in the RC Church - date of ordination 8 June 2013 so am now in my sixth year of ministry.